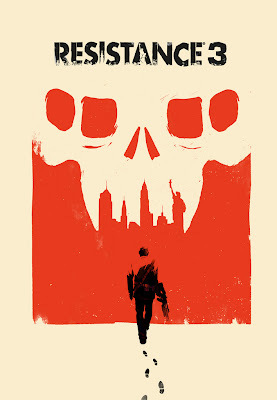 Olly Moss strikes again, with an awesome box art to behold. Perhaps in response to the "call to arms" from gamers demanding their rights to have a decent game box art (trust us, we have seen quite a fair share of them even in recent times), Insomniac and Sony has commissioned British artist Olly Moss to produce the cover of their upcoming First-Person-Shooter game, Resistance 3. And the result is delirious. Moss has earlier unveiled the box art on his page, with this to say, "Insomniac and Sony were mad enough to ask me to design the Resistance 3 box art." 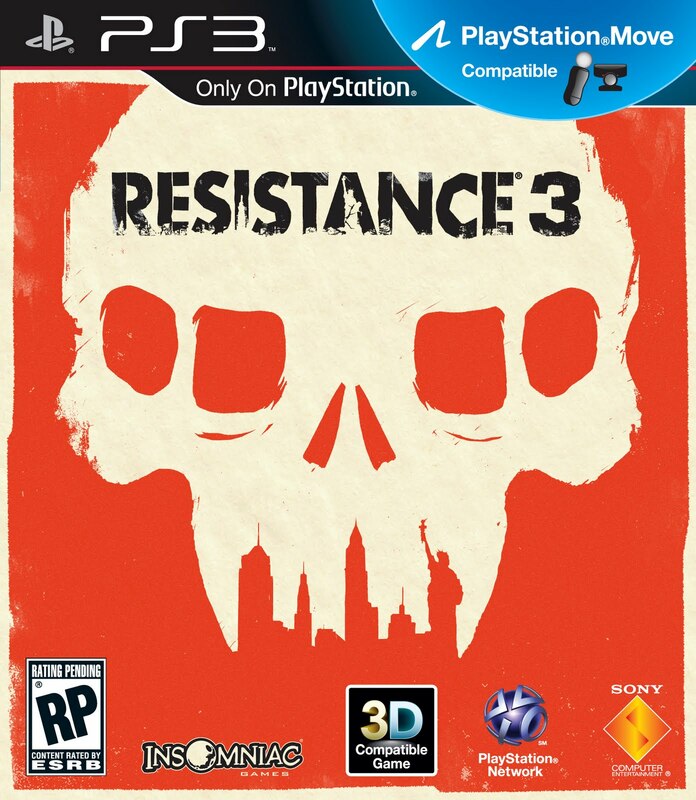 For a better view at the cool box art, check out the official press release from Sony, complete with some supplementary art from Moss. Today we’re proud to reveal the Resistance 3 box art that you can hold in your hands when the game hits store shelves on September 6th. You should recognize right away that this graphic version of the Chimeran Skull with the New York skyline depicted as its teeth, as well as the stylized version of the Resistance franchise logo, isn’t your typical “rendered hero” box art. 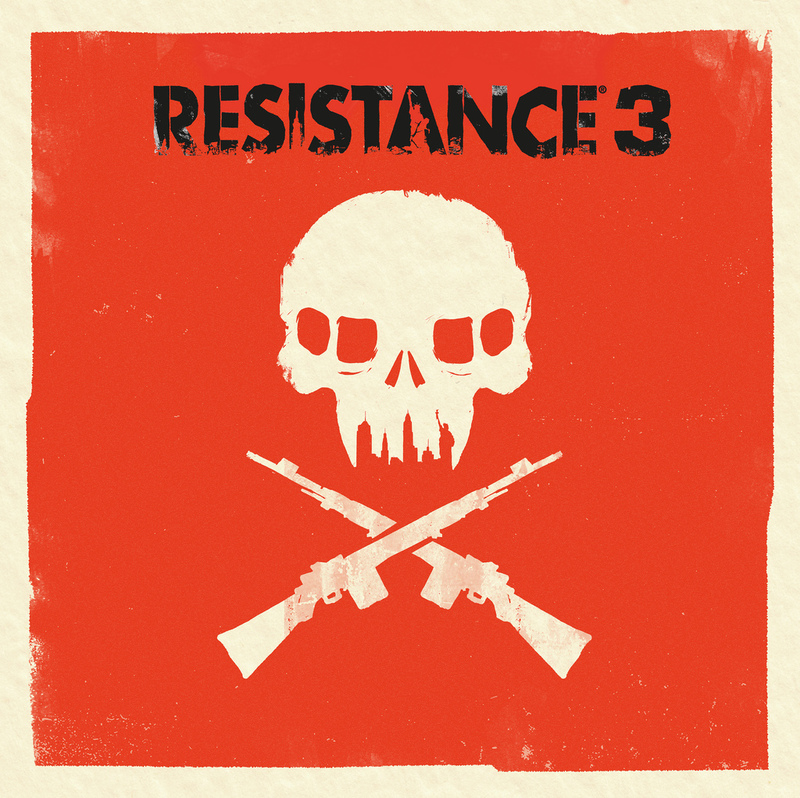 To create this new look, we partnered with Olly Moss, a talented British artist, to create a bold vision of the Resistance 3 box art for both the North American and European territories. The Resistance team worked closely with Olly to share our vision for the Chimera-occupied 1957, and Joesph Capelli’s journey across the destroyed USA to his destination, New York City. You’ll see this in the alternate version of the art below, which shows Capelli walking towards the NYC skyline. We wanted Olly’s work to reflect that in Resistance 3, YOU are the Resistance. 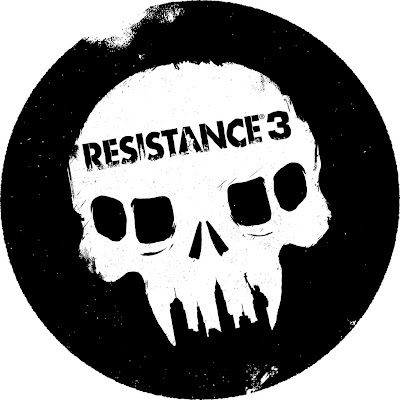 Resistance 3 isn’t a military shooter, as the United States Army and SRPA have been destroyed. 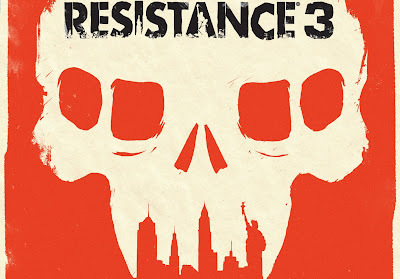 Instead, Resistance 3 is about the remnants of humanity finding any way possible to survive in a brutal world. This work coincides with Olly’s first art show in Hollywood at the Gallery 1988 (which runs until May 20th, if you’re in the LA-area). 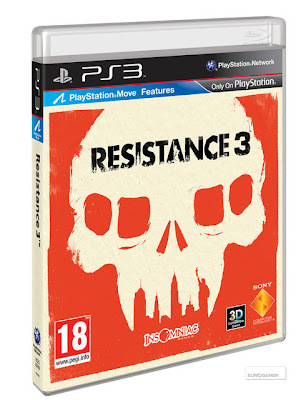 We’re excited about the new look of the box art and expect to see additional Resistance 3 art by Olly throughout the campaign. You can find out more info about Olly, and see more of his fantastic art, by checking out www.ollymoss.com.